Tongue-In-Cheek Tips For Dusting Off All Your Stuff…And You. Where did you stow those boots? Keep looking, they must be hanging around somewhere. You know it’s time to get ready for skiing when leaves are falling and there have been snow flurries in the mountains. 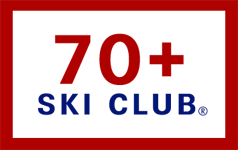 You’ve started having ski dreams, and everyday you check SeniorSkiing .com (and your other favorite ski sites) for new postings. Get in shape. Go to the gym, do a plank. Spritz yourself with water so it looks like you’ve worked up a sweat. Do a lunge. Check your phone for messages. Call it a day. Schedule all appointments for before or after ski season. Get your teeth cleaned now. Find your ski clothing. Wash the long underwear that was lovingly stored under the bed. Clear out the pockets of your parka. Put the half-eaten protein bar in a baggy. Pull the fuzz off the loose ibuprofen pills in find a new baggie for them. Find your new ski pass among the pile of plastic cards in the junk drawer. Throw out all the video store membership cards you find. Yes, even the Blockbuster card. 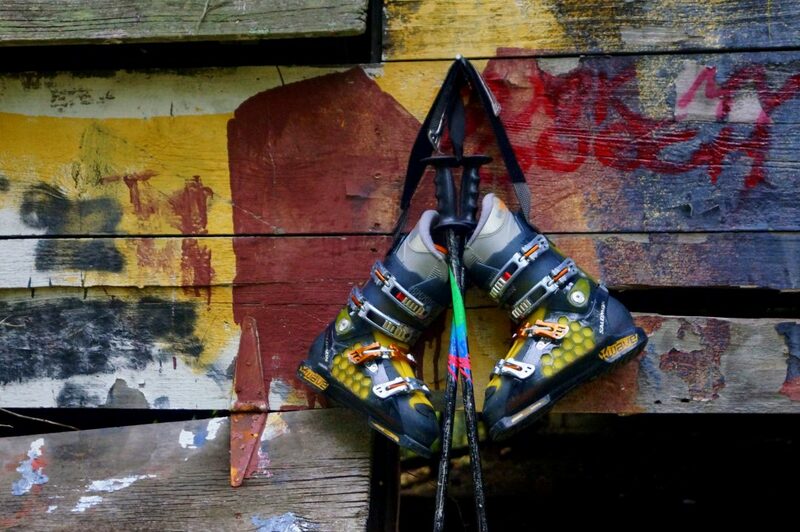 Go toward the pile of ski poles tossed in the back corner of your garage. First move all the string trimmers that you can’t start, the fishing poles with broken tips and the other things you’re going to fix. Pick out two ski poles that are the same length. No, they don’t need to actually match in any other way. 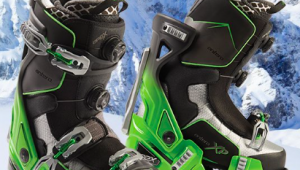 Get your ski boots out of the barn, shed or whatever outbuilding you promised yourself you’d never again store them in after what happened last year. DO NOT put your hands into the boot. First, turn them over and shake out the acorns. Shake them again, harder this time. Still do not put your hands in them. OK, they’re probably ready for the season. Hunt for your skis. Do a visual binding check. If they are caked with highway salt and rust spray them with WD40. If they have Cubco bindings, buy new ones. Put them with the ski boots and the mismatched poles. Watch YouTube instructional ski videos. Visualize yourself making carved turns. Get yourself centered by watching videos posted by your favorite life-coach. You’re working hard so indulge yourself with some cute cat videos. Download the latest ski apps to your smart phone. Bore your non-skiing friends, spouse, relatives and anyone you meet with all the new stuff you’ve learned online. Call all your ski buddies. Subtly ask questions in order to determine their “ski status”. Do they have new grandchildren, new hips or knees, or a new sweetheart who doesn’t ski? I know you didn’t throw out all the video store membership cards. You knew vinyl records made a modest comeback and so might Blockbuster. So get one of the plastic cards and use it to scrape sleet off goggles. Put it in the interior pocket of your parka along with the fuzz-less ibuprofen pills baggie and the half eaten protein bar. You are now fully ready for the new ski season. That’s funny. A skier and a comedian! Yeah, we like local ski areas, too. Seems as if they are the ones who go out of their way to provide discounts and other amenities for seniors skiers. Don, As a kid in the 50s I got an uncle’s hand-me-down anorak that he had used in the 30s. On the lift, I found a half piece of BeechNut gum in the pocket. Popped it in my mouth. Definitely a mistake.